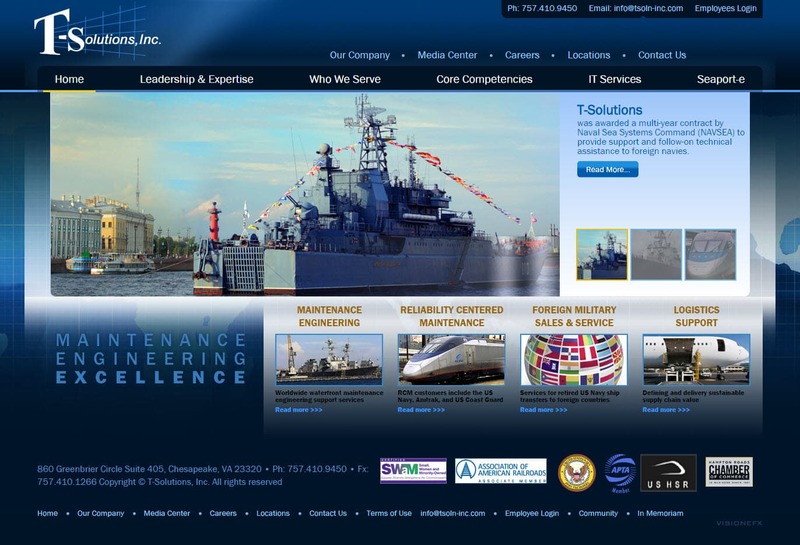 Website design Chesapeake Virginia | T-Solutions approached VISIONEFX for a website redesign to reflect the scope of GSA and E-Seaport business contracted. The website also includes advanced homepage scrollers and a unique light-box display for team members and bios. The website also features an online employee portal. T-Solutions has offices located in Chesapeake, VA. VISIONEFX has an extensive portfolio of website design GSA consultants, GSA contract holders websites. VISIONEFX develops and designs websites for business and provides web design in Virginia and the USA. When searching Website design Chesapeake Virginia look no further than VISIONEFX for all of your website needs.